So far, I've been working on the corseted bodice. 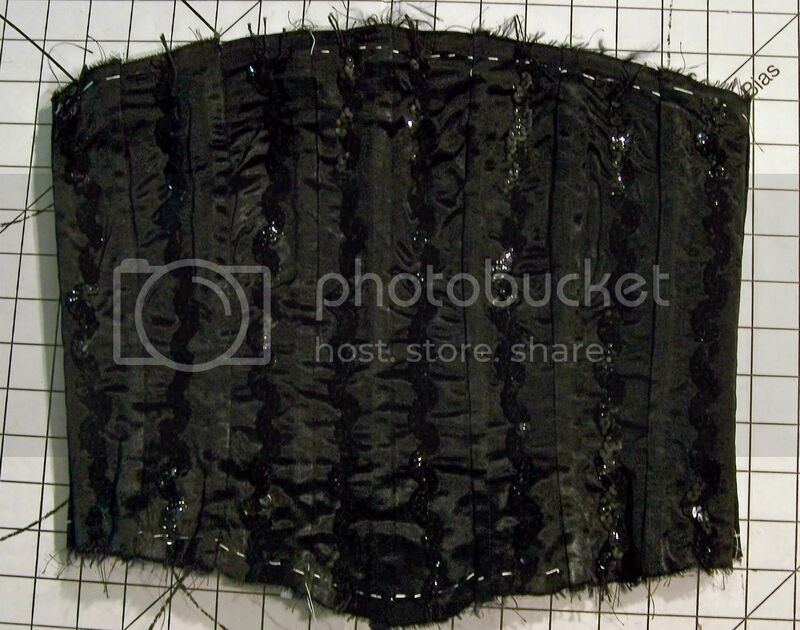 These are all of the bodice pieces after the were cut out and underlined with the netting. As you see, I hand basted them with white thread so I would be able to see it. 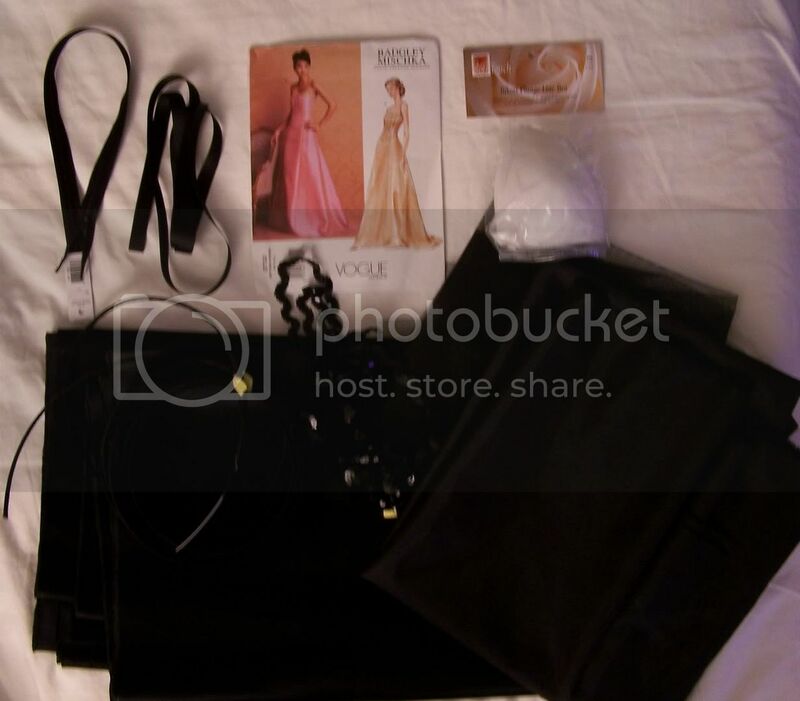 These are the white threads that you will see in the next photos. 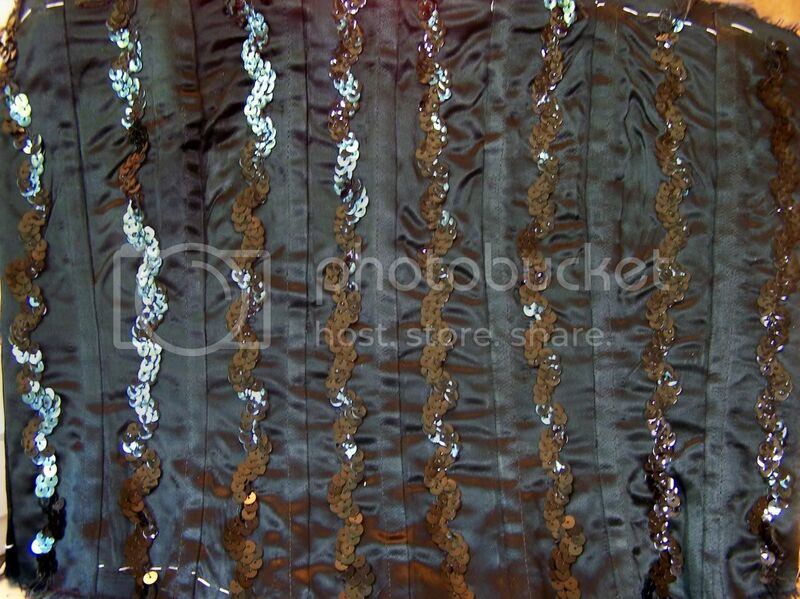 Right here, I have sewn together all of the bodice panels, added the boning and handstitched the sequin trim. 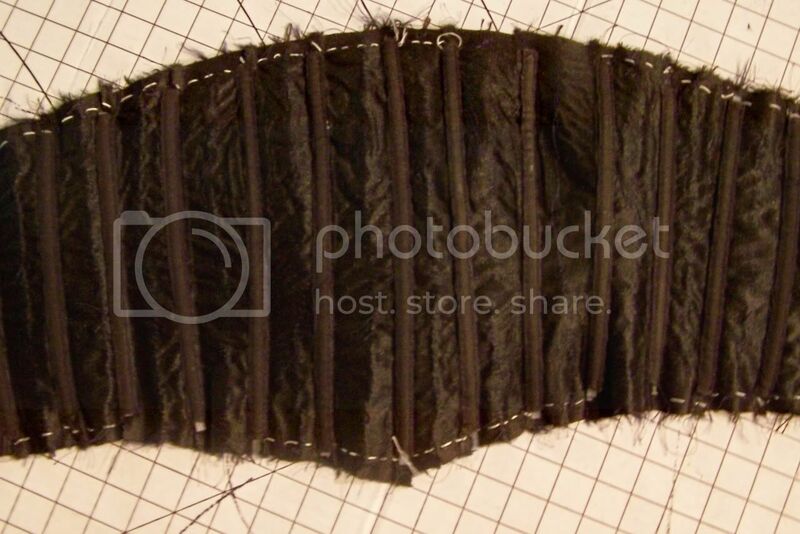 Here is the front of the bodice after I added the trim. 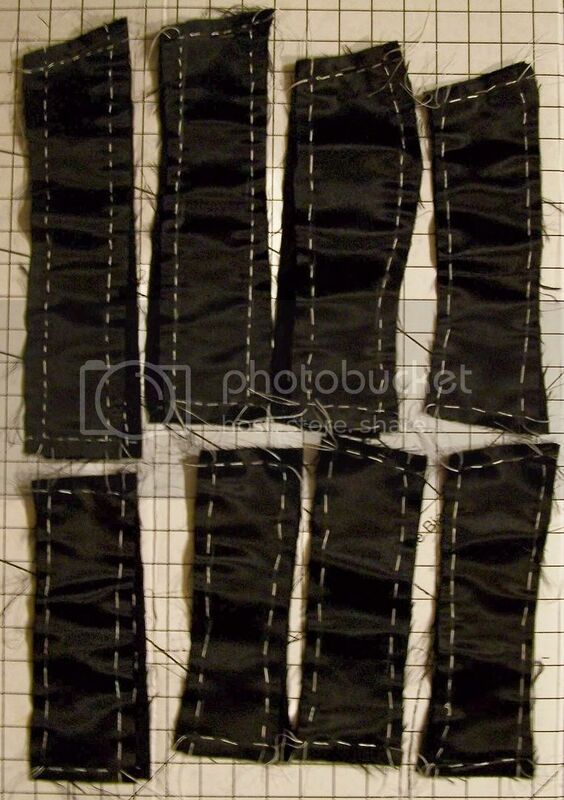 As you see the seams have been toptstitched 3/8" from the seamline. I used black embroidery thread for this. Black is terribly difficult to photograph indoors without too much flash so I hope you can see the details. If not, I guarantee there will be plenty more photos to come.